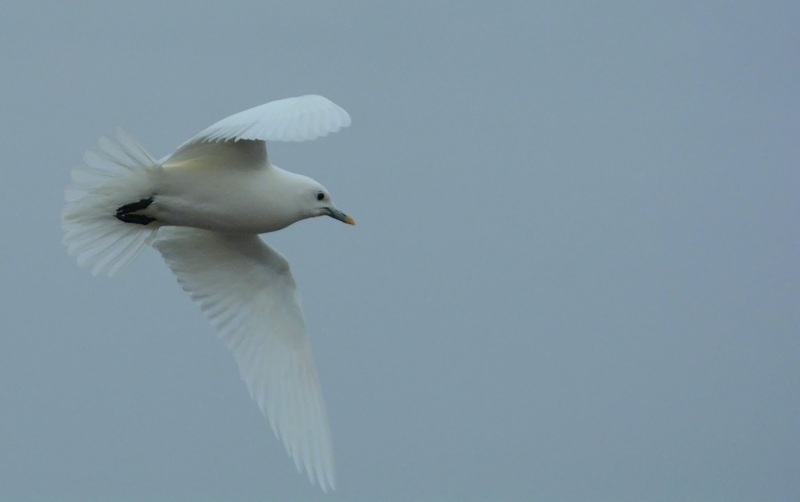 I didn't really expect to see an Ivory Gull in my home state this winter, but Jason Mullins out of Quincy, Illinois made that possible. Jason found an adult near Lock & Dam 21 on Friday, 02 January 2015. It was confirmed a few hours later and the rest was history. I quickly made plans on Friday night and teamed up with Bruce Heimer, Josh Engel, Nick Minor and both Ethan and Aaron Gyllenhaal to go see it the next morning. We left my place around 3:15 a.m. and arrived at the Mississippi River around 7:45 a.m. We first checked The Pier restaurant where the bird was last seen the previous day, but soon got word from Andy Sigler that it was at the Lock & Dam. We sped over there and found about 15 birders present that already had it in the scope. The bird spent much of its time resting on small chunks of ice. We watched it for about 2 hours, including a few bouts of it flying into Missouri (a 1st state record), and resting on the dam. Twice we watched it successfully nab small fish and eat them. It also spent some time perched on a railing adjacent to a group of Ring-billeds, but never did we observe the bird swimming (which they seldom do). Mind you it was raining the entire time of our observation. Not drizzling, but raining. We had almost given up on getting better looks and retreated to the car to devise a plan. Fortunately we waited long enough for the bird to start drifting towards the Illinois shoreline. We all ran out of the car and watched it put on a show as it passed us 5-6 times, as close as one can possibly want! 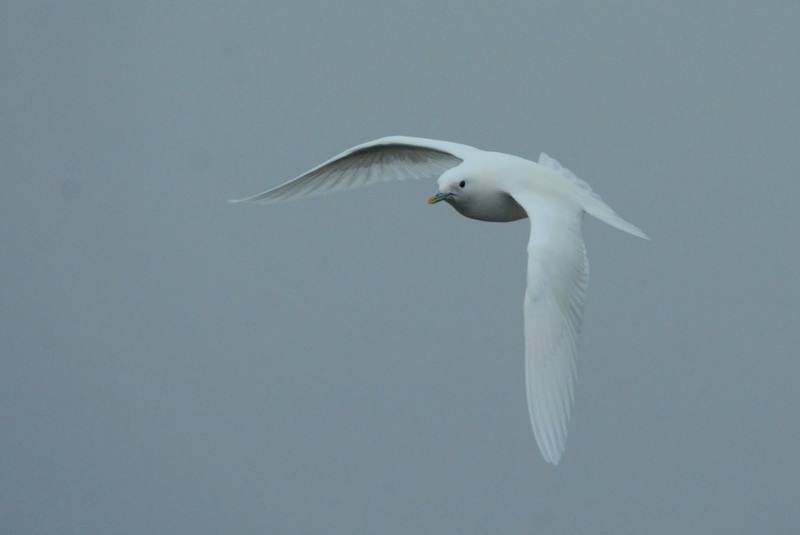 Ivory Gull (adult). Quincy, IL. 03 Jan 2015. The photo isn't great, but I was lucky to get anything as my lens had fogged up on its first pass. I thought for sure I had blown my chance of any shots, but a few came out okay. We were all happy with our time with this gem and headed back north. This was a lifer for Josh and Nick, and a state bird for all of us.